What are big businesses for? Having recently spent a few days in Cornwall – which positions itself as a small business economy with some of the highly innovative companies – it prompted me to rethink what big businesses are actually for? Does anybody know? I’d love to find out. Most of our clients tend to be large companies and whilst I love them all dearly (honest! ), I can’t hide the fact that many are really frustrating to work with as they can be very slow to make decisions, can be very political, have bureaucratic systems that nobody seems to understand, and more importantly squeeze out the fun and creativity out of people. Small companies, on the other hand, can be wonderfully creative. As an entrepreneur you can wake up with an idea one morning and have implemented it by the end of the day, in ways unimaginable by big companies. 1. Only large companies can sustain the investment in building the ecosytems (such as Apple iPhone or Google Android) that are increasingly prevalent in our economies. 2. Globalization means we are all putting a premium on size like never before, and many competitors from emerging markets are backed by the state. 3. Most of the interesting and complex problems we face, such as global warming, require changes to complex systems where size really matters. It’s certainly true that some big companies we work with have the vision, need and budgets to do some really interesting work in a way that a small company simply couldn’t even contemplate. Yet whilst I accept elements of all of the above points, I feel the above points miss several crucial bigger points. Firstly, Google and Apple wouldn’t have an ecosystem if it weren’t for small apps and technology developers. In fact, the are 4x as many Apps developers than there are Apple employees. Both large and small are inextricably linked in an ecosystem, and these days it’s the best eco-system that wins, not the best company. Secondly, globalization putting a premium on size feels like a circular argument. Yes we are all playing on a bigger pitch, but that doesn’t mean that people don’t want and value local and personalized solutions. In fact, in the pharmaceutical world it is extremely well documented that the era of the blockbust drug is well and truly over and ‘the market’ is looking for more bespoke solutions. Finally, whilst big companies definitely have an important role to play in solving some of the biggest and most complex issues we are faced with, historically we have seen again and again that the solutions to intractable problems often emerge from the periphery, not within large companies. Kodak’s recent demise is a start reminder of a big company who failed to spot the way the world was changing towards digital photography. The new role for big business? Big businesses certainly are not going away. It’s an economic and statistical certainty that some businesses will grow to be huge, whereas others will crash and burn. In fact we arguably need big business more than ever, but what for? They used to be about delivering i) economies of scale ii) secure employment for many people and iii) in providing investment in infrastructure and equipment outwith the scope of smaller companies. These days only the third of those functions really still applies, and even that may be time limited. I’m increasingly coming to the conclusion that big companies really aren’t for doing R&D or for sparking creativity. They are about shining a spotlight on an opportunity or a market – they provide scale, aggregation, customer relationships and quality control. The rest, they should leave to the small guys, and source it from them. This is the toughest contemporty lesson for big companies – to realize that they can’t do it all. Small companies are not only agile and creative, but also collaborative through through necessity rather than by design. They know they can’t do it all themselves and nor do they even try. However, their ultimate client may well be a large company who may want to license your product or even aquire it outright. It makes my heart sink at the number of start-ups I see who sink an inordinate amount of time chasing expensive money rather than new clients. The best thing you can offer me (as a co-founder of a small company) is a paying client relationship, over an investor who needs to be managed. A nice recent example of where a large and small company have worked together for mutual benefit comes from a project we did nearly 3 years ago with Orange where we were looking for “The Next Orange Wednesdays.” See here for a more detailed description from one of the key instigators at Orange. And lo and behold we found one. A company called Last Second Tickets that was trading successfully in its own right but did not have the huge customer base that a mobile network operator such as Orange can offer. By working together, and playing to their respective strengths, Orange found a big new brand proposition which is currently in the process of being launched regionally across the UK, with the national launch due in the spring. And Last Second Tickets for a huge new route to market for their excellent service (which hoovers up the spare capacity at entertainment venues – which there is in 95% of all performances – and sells it back to people at a discount on the day of performance). 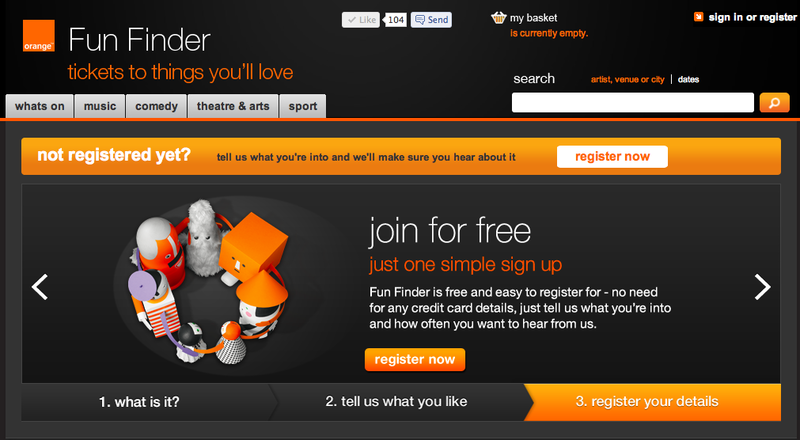 The new service is called Fun Finder and you can learn more about it here. We are proud to have helped make it happen and it’s a good example of playing to the best strengths of both big and small companies. In summary, big businesses need small businesses to grow, survive and thrive. And small businesses need big businesses to scale and accelerate their innovations. To paraphrase Bill Clinton, it’s not a question of who wins between big and small, “It’s the eco-system stupid”. I’m convinced that technology based SMEs are a critical piece of any healthy innovation ecosystem, given their risk taking attitude, agility and passion. A good example of this are Germany’s “Mittelstand” SMEs companies which have been a great enabler of bigger automotive and heavy machinery companies. Necessity is the mother of not only invention but also innovation. Big or small, only they need to be – and are – innovative but in different areas. Desperate to generate revenue, small companies tend to be too good at innovating products and services, while the big ones, whose market positions are well established, focus on innovations around branding, processes/systems, CSR, and so on. 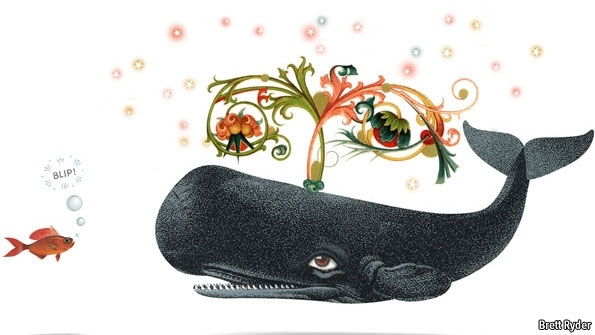 Our thinking should be on who is innovative in what and why. Great blogs Roland. Really enjoyed reading this and Gift or Market as well. I assume you’ve read Daniel Pink ? Fascinating read on motivation. Keep up the good work.